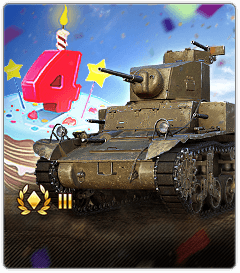 Today marks four years of armored cheer! 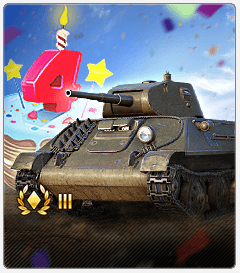 World of Tanks Blitz is celebrating its birthday and welcomes everyone to join the festivities. 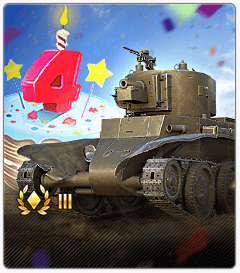 Starting today and all the way up to July 2, tons of bonuses, presents, and discounts are waiting for tankers. First off, it’s dance time! After winning a battle, make sure to perform and record your best victory move, share the video or photo with friends on social media and get a chance to receive a special Blitz Birthday T-shirt in a special contest. 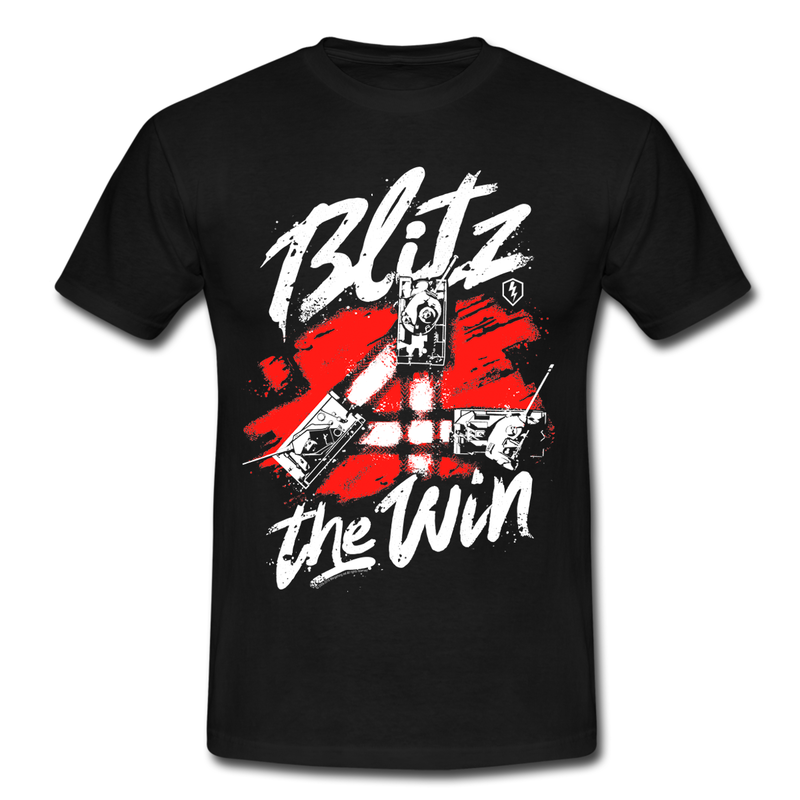 To take part, don’t forget to include the #blitz4thewin hashtag in your description. So when will the party start?! Just a birthday is not epic enough for us. We will celebrate for six days so that everyone can get a gift! Let’s start with gifts. We need a cake. A birthday just isn’t a birthday without a cake! Those who bring the cake will get gifts! Restriction: this mission can be completed 4 times. Each player can get a maximum of 4 Birthday Cakes. 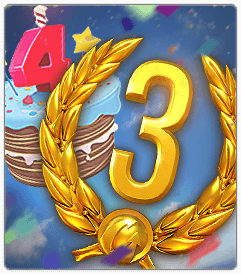 Collect 4 Birthday Cakes and claim your gift! Choose one of 4 gifts in the Offers section of the in-game Store. Each gift costs 4 Birthday Cakes. if you select a tank that you already have in your Garage, you will receive 340,000 as compensation. Take advantage of all bonuses and discounts! 180 days—8,000 instead of 10,000. Adorn your tanks with Festive Fireworks! 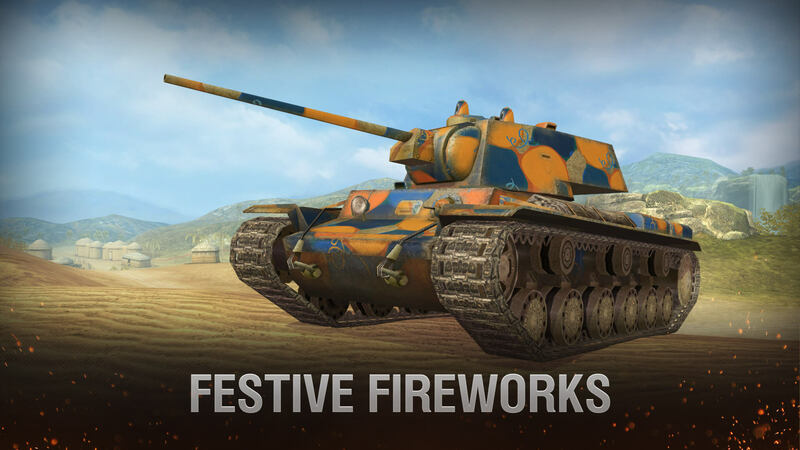 The Festive Fireworks rare camouflage will be available for all vehicles. Cost to unlock and resupply—500-3,000 depending on the vehicle tier, concealment—2-4% depending on the vehicle type, and festive mood—100% without any restrictions! when are you gonna upload 5.1 new tanks and specs?